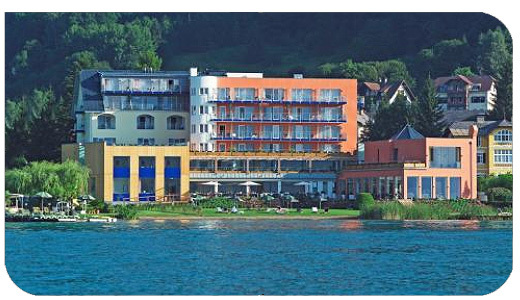 In 2008, 2009 and 2011, Linda had the privilege to study at the World famous Viva Centre for Modern Mayr Medicine in Austria www.viva-mayr.com under the direction of the Clinical Director, Dr. Harald Stossier. Dr. Stossier has recently been recognised as one of the top 5 Diet Doctors in the World. The Clinic specialises in the Mayr Cure, which takes its name from Dr. Franz Xaver Mayr, who devised the Cure. The Clinic uses a unique mix of naturopathic therapies and sophisticated diagnostic testing to get to the root cause of disease and illness. Dr. Stossier has expanded the original concepts of the Mayr Cure - a revolutionary natural cure based on intestinal cleansing to produce optimum health. Detoxification is the core element of any treatment programme at the Viva Centre, with emphasis on respite, (relaxation, protection, regeneration) cleansing (purging, de-acidification, de-toxification) training (regaining fitness) and substitution (supplementing with vitamins, minerals, herbs, eliminating deficits and supplying the body with what it is lacking!). Failure to cleanse the digestive organs, allows waste products to build up in the blood, contaminating it and leading to a dangerous source of toxicity. This undermines people's health. Anyone who is not completely well and is lacking in vitality and joi de vivre, (regardless of age!) should look to thoroughly cleanse their digestive organs. The techniques used at Viva include eating the correct foods, the use of Epsom Salts and alkalising Base Powders, abdominal massage to break down contractions and congestions in the small and large bowel, colon hydrotherapy and re-education of eating habits. By following the Mayr Cure, people can rejuvenate their dietary system and eliminate a whole host of ailments - from aches and pains, to depression, fatigue, and serious cardiac disorders. At the same time, they can reduce weight, improve their skin, and boost their sense of well-being. Dr. Franz Xaver Mayr (1875 - 1965) an Austrian physician developed an intensive regime including therapeutic fasts to rest the digestive system, special diets to train in the proper mastication of food and healthy eating habits. These were complemented with abdominal massage, saunas, steam baths, contrast bathing, hydrotherapy, including colon hydrotherapy, and exercise, to enable the patient to return to, and maintain health and vitality.